evening walks with your brand new leash. 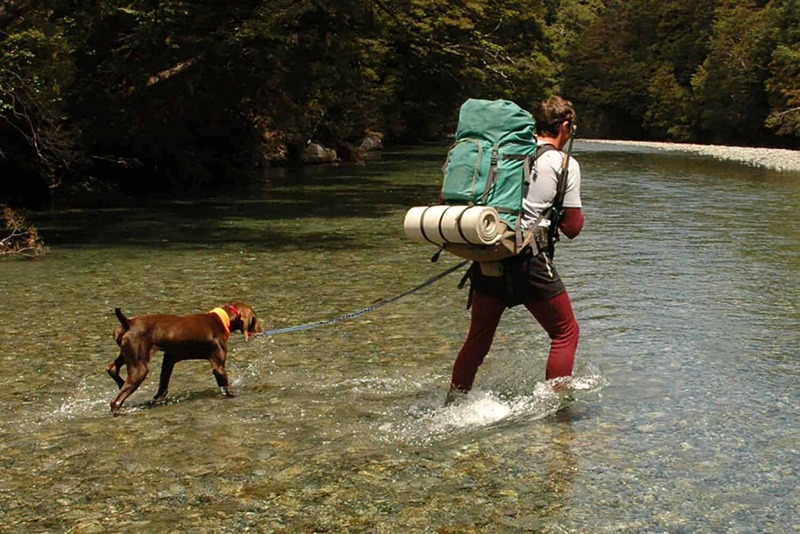 If your dog is like ours, your pooch is always ready for the next big adventure. They are always happy to see you, never complain, and have a ton of energy to expend. But remember; just because your dog doesn’t complain or quit, doesn’t mean you can ignore the cues he’s giving you. Follow these tips for continued safe and healthy adventures with your dog. Since dogs don’t complain as we do, they may have a nagging health issue that you’re unaware of. Be sure to tell your veterinarian that you plan on exercising with your dog, so he or she pays close attention to its heart, lungs and joints. distances, while others are not. Be aware of the type of surface you’re running on. Hot blacktop, jagged ice, glass and other debris can cause injuries. If your dog starts to limp or lick its pads, stop immediately. Try to make it a habit to inspect your dogs’ pads for cuts before and after outdoor adventures. Good advice for you and your pooch; make sure your buddy has water before and after your workout. If you plan on running long distances, it’s smart to bring water with you. When your dog gets tired, it will look to drink water from puddles. Make sure you don’t allow this as that water is high in toxins and contaminants, which can make your dog sick. 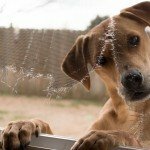 Dogs can’t talk, but foaming at the mouth, heavy panting, glazed eyes, and slowing down are sure signs that your dog is being overworked and should take a break. Don’t worry; it won’t be long before you’re the one panting and in need of a break. Salt and dirt from the road can get in between your dog’s toes, causing irritation and even infection. Cleaning your dog’s paws with a warm, soapy rag after your run will take care of this problem.